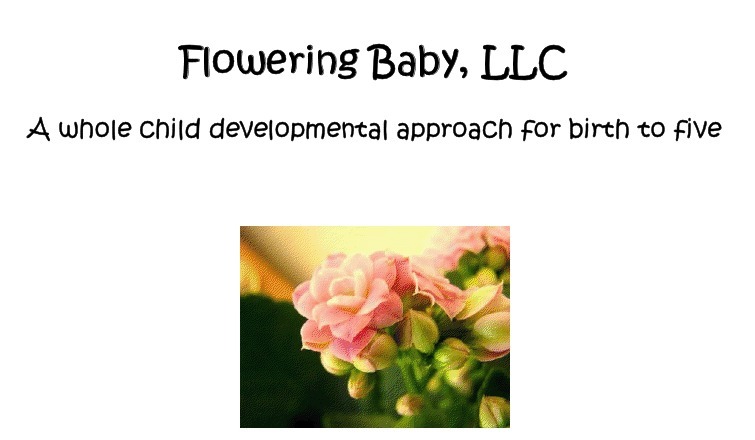 Flowering Baby has recently developed curriculum for each age group, from birth to age five, to help your child to, according to their website, "develop his cognitive, language, gross motor and fine motor, social, emotional and self-help competencies". You can begin the program at any time, during any given year. With several kids to homeschool, and several more to parent, life is pretty busy. My little ones are getting less formal “schooling” than my first few. I’ve felt bad about this often, but with limited time and the older ones requiring more and more of my time as they get older, (How is this? Aren’t they supposed to become more independent? We’re not there yet.) this curriculum didn’t require much extra time, and my girls loved it. Cooking next to me is one of the suggested activities. I can do that. I already do! There are often 4 little stools lined up during the supper prep hour, and two more children who are finally tall enough to stand on their own two feet. Being reminded to talk with them and discuss what we’re doing during that process was good. Ruby worked with Volume 5 and worked on her penmanship and learning to assign one number to each thing she was counting was an improvement for her. When I asked her if she liked her schoolwork (Flowering Baby), she replied, “Yes, I liked everything. Except writing 2’s. I don’t like writing twos.” Well, then. We’ll work on those! As with Volume 3, Volume 5 includes a great book list and also has website suggestions to go along with it’s themes and curriculum, which is sorted by month for Volume 5. Each month’s holidays are discussed and learning a bit of Spanish each day was fun for Ruby. Since Blaine speaks French, I’m tempted to switch that out a bit (since he’ll be able to take that farther than me and my one struggle of a semester of Spanish) but for now, Spanish is easy. I can count to ten. All in all, as a fan of less book work and more life experiences, I was impressed with this curriculum. If you’re looking for ideas and suggestions to keep your young child learning in their play, this is a great (and economical, really!) way to go. I’m going to try to keep this up, since the girls have learned much and had a ton of fun with this. It took us about 20-30 minutes a day, and they begged for more. The book list is super, and the girls will be better prepared for formal learning when that time comes after making a habit of learning each day with Flowering Baby. 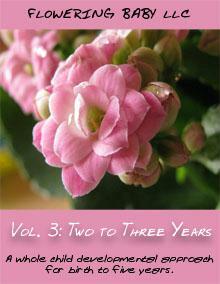 Volumes 1-3 are $30 each. Volumes 4 and 5 are each $38. 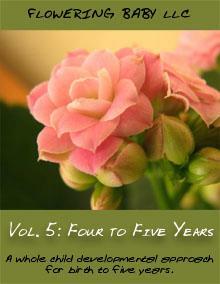 The complete set of all five years can be purchased for $132.For a 10% discount on the curriculum, enter discount code BLOG10 at checkout. To read other reviews from the Review Crew on this curriculum and the other age options available, click here.